One of the best ways to get a feel for a place is by reading a neighborhood's blog. In our Confessions of a Neighborhood Blogger series, we spoke to the writers who chronicle the controversies, preoccupations and happenings of their chosen slice of the city. Given New York's ever-expanding constellation of hyper-local news outlets, it's a sure sign that a neighborhood's profile is on the rise when it gets its very own dedicated blog. 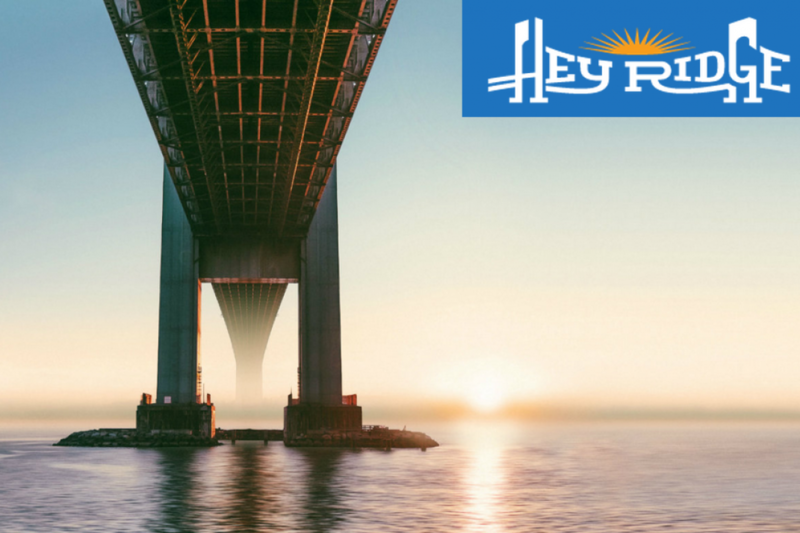 So it's no surprise that Southern Brooklyn's increasingly popular (and according to some, increasingly hip) neighborhood Bay Ridge has joined the fray with the launch of Hey Ridge, a site that covers local politics, culture, and more, back in May. "The catalyst was a political story about our state senator and a tax giveaway he sponsored to just fix developers of luxury housing in Manhattan," says Brian Hedden, who writes for the stie along with fellow contributors Henry Stewart, John Avelluto, Bob HuDock, Alaric Hahn, and Kayla Santosuosso. "Our traditional media, which includes not one but three local news weeklies, has been very good at covering the feel-good PR stories, but they almost always avoid policy." What would you tell someone moving into the neighborhood? Bob: "The locals are really friendly, until you try to get a leadership position in any kind of civic group. Then you find out pretty quick that transplants are considered second-class citizens here. That's ok, though—we will outnumber the natives soon, haha. It's our neighborhood too." Where are the best deals in the neighborhood in terms of real estate? Henry: I’ve always considered Third Avenue, at least on the northside, to be the dividing line between affordable and not—at least west of Ridge Boulevard, which is what we call Second Avenue. There are exceptions, of course, but generally the farther away from the water you get, especially east of Fifth Avenue, the more affordable the housing becomes. You see [it] in the density, block-by-block, as those nearer the water sport large detached houses, and those farther have more apartments and rowhouses and such. 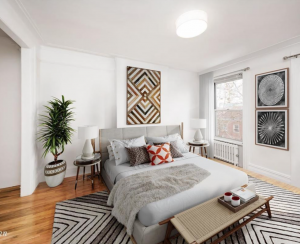 Newcomers, or people moving within the community, tend to find places these days on the south side, south of 86th Street, closer to the Verrazano Bridge, probably because there are more apartment buildings [there]. 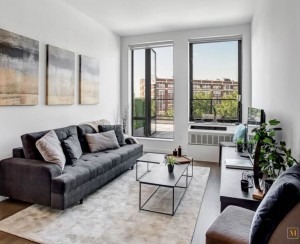 My first apartment was on 82nd Street between Fifth and Sixth, a block that’s all six-family houses with a lot of turnover, so it’s where a lot of people start in Bay Ridge." What about in terms of dining/entertainment? Alaric: There are plentiful cheap eats to be found in Bay Ridge. We have seemingly hundreds of pizza places that could be considered, but I’d put the terrific, simple Taqueria El Puente on the list. Try the delicious red and green tamales, and the carnitas are really wonderful. I’m a sucker for pub food, and you’ll be hard-pressed to find better than at Longbow, where you can dive into their savory pies and get pretty full for about the same price as a roundtrip subway fare. As for nightlife, there’s live music, but I’d try to check out the weekly trivia night at Lock Yard. It attracts a good, cheeky crowd of regulars mixed with a few visitors vying for victory and prizes. The beer and hot dogs ain't bad, either. What's the most coveted location within the neighborhood to live? Bob: I’d say anywhere along Shore Road. The harbor views, bridge views and ocean breeze make it the Riverside Drive of Brooklyn. Any building on Shore Road south of 90th Street that has a balcony with a view is an amazing place to live. The views, light and air are unmatched anywhere in the Greater New York Metropolitan Region, and yet you're minutes from shopping and transit. The sunsets are ravishingly beautiful, and you can watch the nautical traffic coming up and down the harbor all day and all night. Is there a dream building in the neighborhood? Bob: My personal favorite is the Farrell house, on 95th Street. It's a beautiful Greek Revival house with exquisite details that somehow has managed to survive since 1849 among the mid-rise apartment buildings and 1920s developer rowhouses surrounding it. It’s a real gem and totally unexpected on this block. The first time I encountered it, it stopped me dead in my tracks. As a well-traveled architect, I can say with some authority this is one of the most elegantly designed houses I have ever seen anywhere. I wish it had had more influence on the builders who came later. Any buildings that feel out of place with the feel of the neighborhood? Henry: There’s truly a mix of housing stock out here. You can have a Victorian house with a wraparound porch next to apartment buildings next to classic stone rowhouses, across the street from attached one-families—all on the same block (88th Street, between Ridge and Colonial)! What doesn’t fit at all are the condo buildings developers started putting up in the 80s, what are derisively called “Fedder homes” for the built-in air conditioners; that kind of construction hit its nadir around the turn of the millennium, but luckily local leaders were able to get the neighborhood “downzoned” in 2005 to prevent any more of that kind of development. Still, many of these kinds of structures were slapped up before that happened, and they’re a blight! Aesthetically, anyway. Any real estate-related controversy brewing or currently happening in the neighborhood? Brian: There have been a lot of illegal conversions of one- and two-family homes over the years. What happens is that property owners will cash out and sell to developers, who in turn get minor renovations approved with the DOB. Then contractors will come in and completely gut the building in order to turn it into a small apartment complex, potentially quadrupling the number of people that could live there. So, on one hand, when that occurs with regularity, you start to put a strain on public services. Crowding in schools gets worse, crowding on the trains gets worse, police coverage gets spread thinner, and since these conversions are done contrary to code, you're also creating a fire-safety risk where one didn't exist before. But what fun would a controversy be if you just argued it on its merits? No fun at all. That's why we like to throw in a dash of xenophobia whenever we can, and when the people moving into these buildings are predominately Asian, or Arab, or otherwise not Irish, Italian, or Scandinavian, then you can always count on someone to make it about how some other group is taking over the neighborhood. How has Bay Ridge changed in the past five years? Any projections on how it will change in the next five? Kayla: People (and some newspapers) will tell you that Bay Ridge's rent isn't going up, but it is. Albeit, probably more slowly than everywhere else due to our distance from Manhattan. But rising nonetheless. And while the cries of impending hipsterdom are seriously overblown, we definitely see more and more young people moving out here. Again, slower than in other neighborhoods — what young person really wants to force all of their Bushwick-based friends to commute to southwest Brooklyn? — but it's happening, for sure. With that, of course, comes the occasional hip coffee shop, the new beer garden. But Bay Ridge isn't losing its unique spirit and its small-town feel. It's just getting a little younger—and it's taking place in what is still a naturally occurring retirement community. In short, everyone just needs to chill out about the hip-ifying of the neighborhood. In the next five years: Leadership and influence in Bay Ridge is going to change hands a bit. I think we will see young folks in the immigrant communities and first-generation kids stick around, open up businesses, and get involved in civic activities in the neighborhood, taking the place of some of the predominantly white community leaders we have in place now. There's a small-but-mighty progressive wave blowing through Bay Ridge that is sure to grow stronger over the next five years, and I think immigrant youth will be a huge part of that. Also, if we're in luck, the 2020 census will separate us from Staten Island in terms of voting districts, so we can finally get a progressive congressman! Or at least, I really hope we can, because we are terrible at voter turnout. By 2020 we should really figure that out. What do you think your "sister" neighborhood might be? Kayla: Park Slope—maybe 10 or 15 years ago. When you're walking past the brownstones on Bay Ridge Parkway you would think you were on Prospect Park West. We also have a ton of green space, and wide, tree-lined streets, just like Park Slope. This neighborhood is also so phenomenally family-oriented that you see children in nice strollers everywhere. I think the main difference between us and them is that we have such a vibrant, growing immigrant community here, and the gentrification process is happening much more slowly. So you don't see Bay Ridge inundated with hip spots to eat and drink, but you do have a lot of mom-and-pop stores, many of them owned and operated by immigrants. Which neighborhood feels like the opposite of your neighborhood? Alaric: I left Park Slope in 2006 for Bay Ridge, and I feel that that neighborhood is on the opposite side of the spectrum of us here in southern Brooklyn. Bay Ridge is still a place where people talk to each other on the street—people of all ages and backgrounds and financial resources—and it feels like a proper neighborhood, in the traditional sense of the word. Park Slope, while lovely in its own way, has become a place I’d rather just visit from time to time. I’d rather plant roots here. What is one of the biggest misconceptions about the neighborhood? John: That everyone here is a staunch conservative who behaves like Danny Aiello in Spike Lee’s Do the Right Thing. Our voting record and this blog are testaments to the contrary. Or that the neighborhood is far away. It’s far away from you, maybe. Many New York institutions are dropping like flies. What recent Bay Ridge closures shocked you? Henry: I feel like most of our shocking closures happened a few years back: Tiffany Diner (which became a bank), Griswold’s Pub (which became a bank). Lately we’ve had a few close calls because of rising rents: Hinsch’s, a classic luncheonette, almost closed a few years ago before it was bought by new owners; Appletree, a longtime local health-food store, was pushed out this month but found a new space a few blocks away; and Mejlander and Mulgannon, a popular German-style deli in the same space for decades, just relocated around the corner. As a community, we’ve managed to keep these places open, but rent trends being what they are, it’s unclear whether we’ll be able to keep it up. What new places in the neighborhood should we check out? John: OMG just opened up a Bay Ridge branch on Bay Ridge Avenue, off of Fourth Avenue! No frills, but fresh ingredients, and their menu can suit everyone: Halal, vegetarian and vegan (just order vegetarian and ask for it without cheese). HORCHATA!!!!! The Bed-Stuy Blog: Why the neighborhood needs better bagels, but will never be "the next Williamsburg"
Bushwick Daily: Locals love free beer and tacos, but don't call them "settlers"
Would you rent this railroad-style convertible two bedroom in Greenpoint, for $3,000? 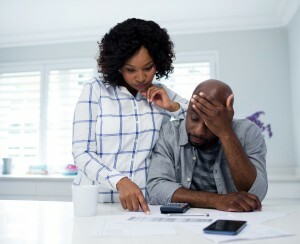 I want to refinance my mortgage, but my appraisal seems low. What do I do?